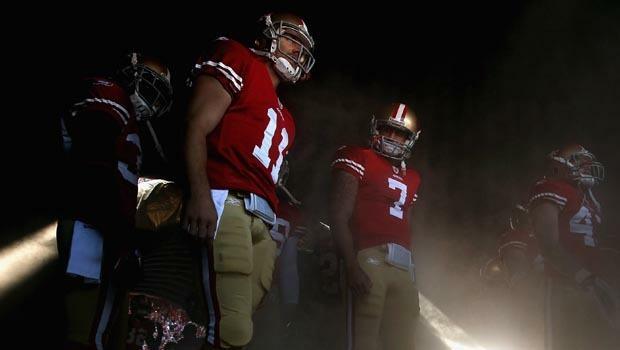 San Francisco coach Jim Harbaugh's most recent decision to start Colin Kaepernick ahead of veteran Alex Smith can be viewed from any number of angles, however one thing it does is set a very dangerous precedent. How so? Simple. Alex Smith lost his job because his coach took advantage of his injury to cram a rookie in instead of him, and once that injury healed, Smith found the door locked upon his attempted return. 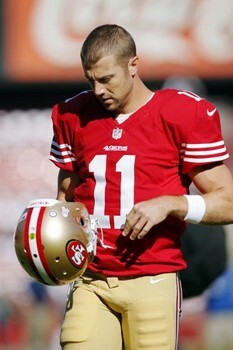 Smith was honest and acted in the best interests of the team in saying he had concussion symptoms. The team in turn should have respected that responsible behaviour and ensured that Smith be allowed keep his job, which he did nothing to lose, on his return. Instead Harbaugh has taken advantage of the situation and handed the job to an untested rookie who has not paid his veteran dues. Whatever about the ugly nature of the decision, the dangerous element is easy to spot. In future, players who feel they might have concussion will simply keep their mouth's shut. Why risk losing your starting job, when a coach clearly isn't going to do the right thing? Whatever about the injury element, the decision itself is questionable on a most basic of levels. Obviously people who think the decision is correct are going to point to the situation in New England where Tom Brady got the starting job at Drew Bledsoe's endless expense, all because the latter was badly hurt by a cheap hit by a Jets player. The problem with that analogy is that happened in 2000, and there are dozens of 'hot' rookie QBs who have looked like the second coming of Joe Montana one week, only to fade into the woodwork forever, just another failed Ryan Leaf type. The NFL adjusts. Lost in the hype last week, Kaepernick made a couple of horrible throws that were almost picked off, and one that was. NFL defensive coordinators will adjust and find ways to mess with the young man's head. Look, Kaepernick may very well be a great player down the line. However, it is not only undignified that he has taken another man's job because of injury, but it also sets a very dangerous precedent. For years players suffered through concussions in silence until recently a new honest approach has meant the issue was being dealt with carefully and responsibly. Now, with Harbaugh's poor decision, in my view, the risk returns that players will hide concussion symptoms and take the field, a danger to themselves and indeed their team mates, to ensure they too don't lose their starting job through injury. Harbaugh's ugly decision shows that prospect is a very real possibility.Wouldn't you lie about illness to ensure you 'made it into work' if your job was on the line? You can't blame NFL players from protecting their livelihoods by doing that, and the blame can largely be set on the shoulders of one man.